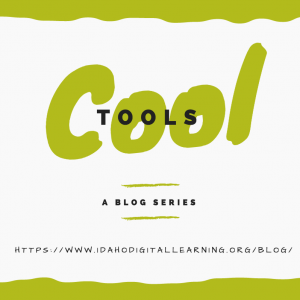 Idaho Digital Learning’s Cool Tools Blog Series continues. This month we’ll be focusing on assessment and collaboration tools for any and all subjects. EdPuzzle – Add videos that give the ability to pause to insert teacher questions. Blabberize – This is a fun tool that adds audio to images, making them speak. Poll Everywhere – This is an instant polling tool. Smart phones or devices are required. MathEqualsLove Blog – Free Exit Ticket templates. Good for K-12. Tozzl – This tool is similar to a shared Pinterest board for safe collaboration. No registration required. Only students with link and a password (provided by the teacher) can use. Padlet – A content creation and collaboration space. Google Apps – Share with emails on version and allow people to contribute instead of creating multiple variations of the same item.